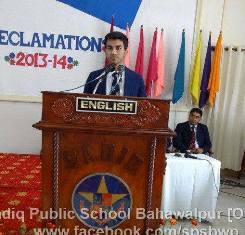 Sadiq Public School Bhawalpur, organized its 19th All Pakistan Inter- Collegiate Bilingual Declamation Contest 2013-2014 in February. This event was a host to around 18 teams from various institutions around Pakistan. 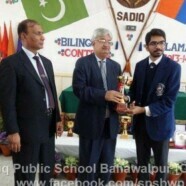 Representing Forman Christian College, Bilal Rana participated in the Urdu category. 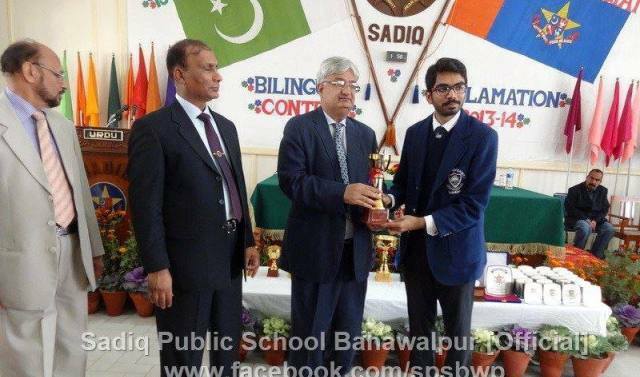 He secured 3rd Position in the event and was awarded his prize by the chief guest, Prof Dr Muhammad Mukhtar who is the Vice Chancellor of Islamia University, Bhawalpur.